Though the Gwinnett County School Police Dispatch Center may not be a local PSAP agency, they are truly a dedicated communications center. 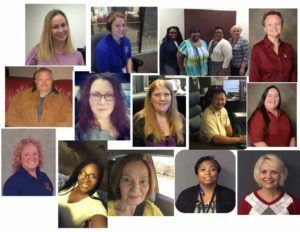 Four full-time and 16 part-time dispatchers cover 24/7 shifts like any other center. Over a 437 square mile area, there are 89 officers that help keep roughly 180,000 students and 22,000 staff members safe during a normal school day. Gwinnett is the largest school system in the State of Georgia and has over 140 school facilities that are monitored even after the normal school day ends. Full time dispatchers work 12 hour shifts and additional manpower is made up by part time dispatchers. Many of the part time dispatchers hold other jobs and often have experience in larger centers. Regardless of the mixture of team members, I am proud to say that we have a terrific team that pitches in to help each other when something major goes down. Our school system also has over 9,000 cameras in the schools and the dispatchers are responsible for monitoring these cameras from our dispatch center. Each school also has an emergency alert system (used for incidents such as an active shooter or an imminent danger type call) that is monitored by the dispatch center. We all take pride in knowing we are protecting our most valuable asset, our teachers and students. Therefore, I would like to recognize the Gwinnett County School Police Dispatch Center for all of their hard work and dedication. Happy Telecommunicator’s Week to all out there who commit to this often thankless job!